Yes, I have been watching the X-Factor for the past 12 weeks or so . 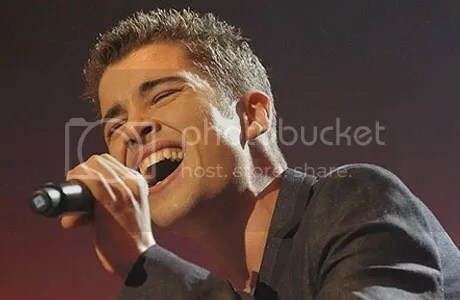 . . but I have only kept watching the whole time because Joe McElderry has gotten all the way to the final and will find out if he is the winner of the 2009 X-Factor tomorrow night. Why do I want Joe to win? – He is from the same town in the North East England which I am from South Shields . . . and him being on the show really has created such a buzz around the town and it is really just fantastic. Tonight’s first part of the final was very emotional, and yes I was crying . . . a Geordie thing? Possibly? Joe sung with George Michael, who Joe totally out sung . . .
Bring on the final chapter of his story tomorrow night and lets hope we see him announced the winner of the X-Factor 2009!